Project: Full remodel of home 2-story home originally built in 1904 that included a 500 square foot addition, new kitchen, 2 bathrooms, guest bedroom, foundation repair, exterior restoration, interior design and landscaping. Chris and Susie love their Victorian home originally built over 100 years ago, but felt a growing desire to resurrect it with a fresh new look. They were looking for a team who was dedicated to preserving its original charm and providing a quality end result. 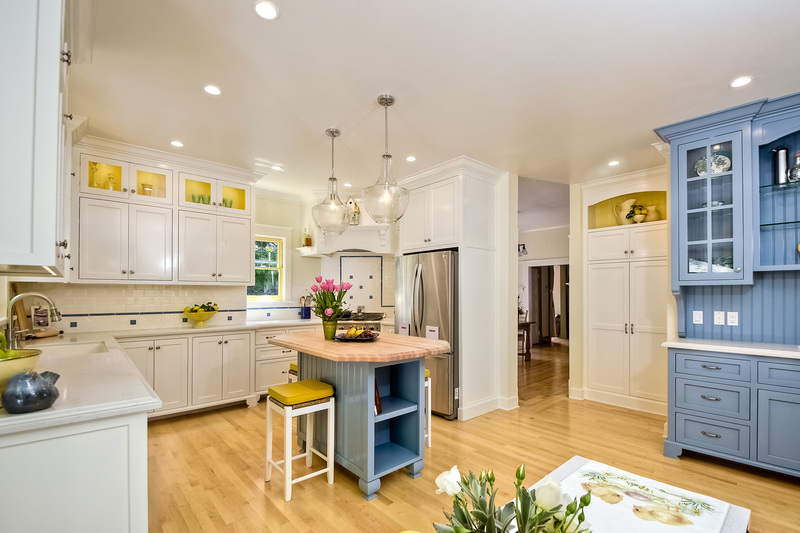 • Expansion of kitchen which included custom cabinetry, custom window and door treatments, vintage tile and backsplash design, recessed lighting new pantry, and breakfast nook. • Re-design of 1st floor bathroom to accommodate laundry cabinet. • Remodel of Master suite and bath on 2nd floor. • Insulation and heating throughout the entire home. • Stain glass window design and restoration with crown-moulding treatment. • Interior design and coloring to match original era. • Complete exterior restoration and siding. • Full landscaping in front and back courtyard, complete with ZMK custom-made Victorian-style wrought iron fencing. • Full compliance with the City of San Diego Historic Resources Board and the Secretary of the Interior’s Standards.